Shiny Objects: It's the biggest day of the year! No, not tax day… Google Inc. (Nasdaq: GOOG, GOOGL) began selling its Google Glass, a wearable tech device, to the public today. 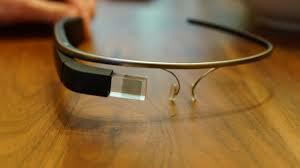 The company expanded its "Explorer program," allowing users to purchase and use Glass for $1,500 plus taxes. The offer was exclusively online, for U.S. customers only, and will close this evening. Retail Slumps Again: It was a bad day for brick-and-mortar retail. Best Buy Co. Inc. (NYSE: BBY) slid as much as 4.63% this afternoon after it was reported that its president of U.S. retail stores, Shawn Score, will retire this year. Meanwhile, its competitor hhgregg Inc. (NYSE: HGG) slumped more than 8% on poor fourth-quarter estimates. RadioShack Corp. (NYSE: RSH) slipped another 9% and is now on bankruptcy watch. Government Data: The U.S. Labor Department reported that the Consumer Price Index increased 0.2% in March, following a 0.1% increase in February. According to the data, housing and food prices accounted for the bulk of the increase. Such an increase suggests that the deflationary trend that has persisted across the economy is likely at its end. Meanwhile, the U.S. Federal Reserve may take more aggressive steps to force banks and financial firms to hold more capital. Fed Chair Janet Yellen said today that current regulations may not be able to deter aggressive risk-taking that exposes the economy to the dangers of increased leverage. Following last month's stress test, Yellen said U.S. banks may need to hold additional capital. China's Gold Demand Surges: Though gold slumped by 2% today, there is good news for gold bugs. The World Gold Council projects that China's annual demand for gold may spike by 20% by 2017. The Council expects its increasingly wealthy population to seek new ways to make money and store value in their earning. China was the highest consumer of gold in 2013, overtaking India as the top market. The Council projects that China's annual demand for gold is expected to reach 1,350 metric tonnes by 2017. It's On: The New York Post reports that New York Attorney General Eric Schneiderman announced an investigation into claims that Herbalife Ltd. (NYSE: HLF) is a pyramid scheme. Citing anonymous sources, the Post reports that two whistleblowers have provided sworn statements regarding the company's marketing practices and business model. Both the Federal Trade Commission and the Federal Bureau of Investigation have opened cases against the company. Herbalife operates very similar to Amway, the world's largest MLM scam.